Has it been over 3000 Miles Since your Last OIL CHANGE? You could be damaging your engine. Our Oil Change is the best way to get a handle on where you are when considering the health of your vehicle. NCC's Oil Change is NO Drain & Fill Special! Safety Inspection and a Check list of statistics so there are no doubts, you know how much tred is on your tires, brake pad wear, fluids' conditions, and so much more! Take the 45 minute, have a cup of coffee and Drive with peace of mind! Be safe out there today. Give yourself extra time and a space cushion. Make sure you've got good tires. Always Have A Used Car Check Up BEFORE U Buy! We offer a used car check up so you won't have buyer's remorse and an emply wallet! 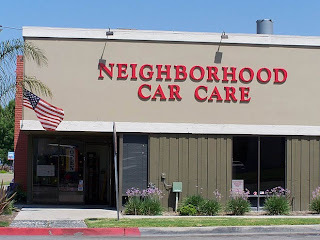 The fine folks down at Neighborhood Car Care are well known for their excellence in Orange County automobile car repair as well as Orange County auto body work. 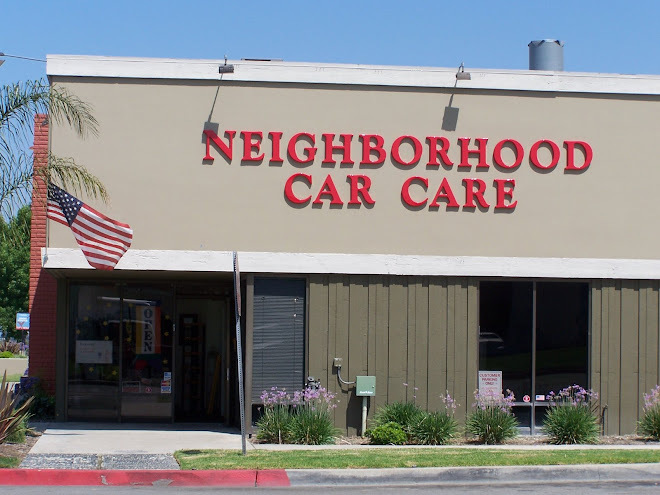 It is a well-established fact that the Orange County auto repair specialists at Neighborhood Car Care go above and beyond when it comes to caring for their customers automobiles. 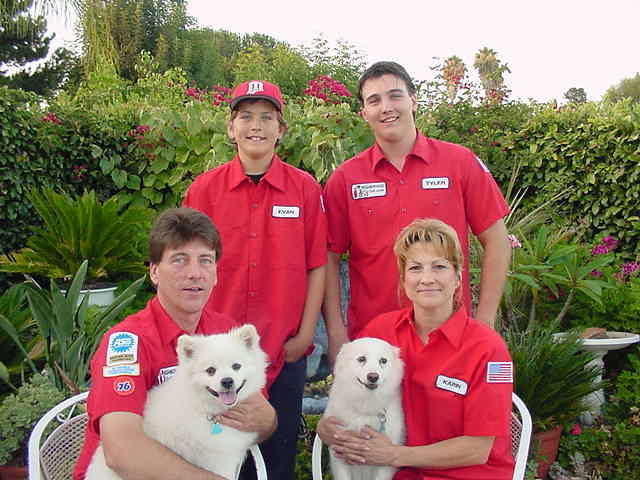 Though they are well known for their Orange County auto repair prowess, they're also known for something else. That something else happens to be customer service. Not only do these Orange County auto repair specialists go above and beyond when fixing an automobile for customers, they go above and beyond for the customers well. Providing friendly faces and warm greetings are just the start at Neighborhood Car Care as they also provide free coffee, free WiFi, and minimal waiting times for their customers. These are things that aren't often found at other auto repair shops and Neighborhood Car Care is more than happy to provide all of them to their customers. In fact so great is their customer service that they scored 100% on the AAA customer satisfaction survey. Not only did these Orange County auto repair specialists score 100% on the customer satisfaction survey this last year but have done so for four years straight! AAA's customer satisfaction survey scrutinizes Orange County auto repair shops which makes it difficult to attain a high score let alone a perfect one. With unprecedented auto repair services as well as perfect customer service four years running there is no reason to put off taking your car in to see these Orange County automobile repair specialists. Not only will your car leave in much better condition than arrived in but your wait will be short and you'll be greeted by friendly faces when you walk through the door. Should you have any questions about Orange County auto repair services please don't hesitate to contact Neighborhood Car Care for assistance. Until We Inspect It For You. You Can Just Imagine Why. Always a FREE AAA inspection! diagnose Check Engine Lights Frequently. you'll end up paying for it one way or another. NEIGHBORHOOD CAR CARE Look For The Big Red Letters! We are Located At the Corner Of Obrero & Via Fabricante off Alicia. Call for an appointment for REAL convenience, then you are in and out for your Oil Change, Brakes, Fluid Flushes and Battery Check Ups. Mention this BLOG for 10% Discount on Any Repair work. 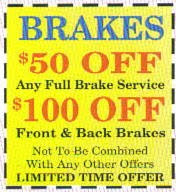 Brake Special $50 & $100 SAVINGS! Red Shirts to assist you. Wiper Blades at a great price! Installed quickly with no hassle. Part of being the wife & mother @ Neighborhood Car Care Auto Repair in Mission Viejo, Orange County is the fun I have getting to know our interesting customers in the FREE shuttle. I meet the most amazing friends while I am taking them to work or home. If someone does not wish to wait in our luxurious waiting area with WIFI and office workspace, TV and snacks as well as coffee, tea or water, I will take them where they need to go. We want to make getting your car serviced as convenient as possible here at NCC. Car owners are drilled by the dealer and bullied into thinking that they only have one choice for car maintenance like oil changes and flushes, brakes and filters. NOT SO! You as the owner of your car have the right to take it to any auto repair facility. Just maintain your records and keep to the scheduled maintenance in your owners manual. Our Customeres RAVE about us! Drive with peace of mind. What is more precious than your babies? Be it your children or your 4 legged kids! You love them, they know you will keep them safe. We ask that you allow us to get the best tire at the best price for your specific situation. Maybe you want a good tire that will last a good long time. Maybe you are returning a leased vehicle and it needs tires, but you don't want to spend a lot of money. New tires NEED to be aligned properly. Some tires shops don't even align the tires they sell you. Let NCC of Misssion Viejo, the trusted OC mechanic get you tires that will be safe and economic for your budget. TIRES TIRES TIRES! Give a chance when you are shopping for Tires. There many things on an automobile that need frequent attention and should remain at the forefront of an owner's mind. Among these things perhaps none are more important nor need more attention than tires. Your driving habits as well as the total number of miles you drive will determine just how fast and exactly how tires will either need to be changed or cared for. When an automobile needs new tires it's unwise to put off taking your automobile in for Orange County auto repair services. Driving on worn-out tires is extremely hazardous to both you as well as other drivers on the road. Owners driving on tires that need to be rotated or those that are long overdue for the process not only run the risk of blowing a tire while driving but can also ruin all four tires by wearing one side out of each out rendering each tire unusable. Be sure to bring your car into Neighborhood Car Care so that he Orange County auto repair specialists can rotate, mounts, and balance your tires. Should you have any questions about tire related services or should you be in need of new tires please don't hesitate to contact Neighborhood Car Care for assistance. Have you ever taken your car into an Orange County auto shop and had to sit patiently for an hour or more only to watch the minutes on the clock idly tick away? This is a common occurrence at most auto shops and it is a big reason many people avoid taking the car in for checkups, repair work, and anything else that might ail their automobile. The reality of the situation however is that by the time your car needs to be taken to an Orange County auto shop it's usually not something that can wait or be put off simply because you don't want to be inconvenienced. Fortunately for residents of the Southland, the Orange County auto repair specialists at Neighborhood Car Care understand just how frustrating waiting for your car can be especially when there's nothing to do in the customer waiting room. As a result of their empathy and sympathy the repair techs at Neighborhood Car Care now offer something special. These three things not only gives Neighborhood Car Care clients something to do but allows them to continue working should they have left work early to have their car looked at but also allows customers to sit back and relax with a hot cup of coffee while they wait for their automobile. The Orange County auto repair specialists at Neighborhood Car Care aim to complete work on every automobile as quickly and as efficiently as possible so that you can be on your way. While you wait for them to complete their work however, you'll receive customer service that you just won't find at other auto shops. 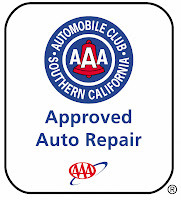 Should your automobile in need of repair, a tuneup, or anything else, be sure to contact Neighborhood Car Care for all of your Orange County auto repair needs. Ready to Get Your Car Cared For?? Our Oil Change is the best way to get a handle on where you are when considering the health of your vehicle. NCC's Oil Change is NO Drain & Fill Special! Safety Inspection and a Check list of statistics so there are no doubts, you know how much tred is on your tires, brake pad wear, fluids' conditions, and so much more! Take the 45 minute, have a cup of coffee and Drive with peace of mind!